My top 5 Christmas movies - Do You Speak Gossip?Do You Speak Gossip? Hello everyone! As we’re headed to Christmas, I wanted to make a list to show you my favourite Christmas movies that I don’t have a problem watching again and again every year. You see, it has become something like a tradition to me and my boy, to watch Christmas movies during December. I always try to find new ones to include on the lists I have on my mind, but I prefer “newer” movies, so I don’t have many new additions to this list, these last years. I tend to stay to the classics. We’re starting with the most classic of all movies in my opinion. 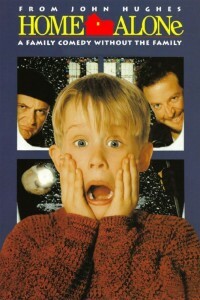 Number 1 on my list is definitely Home Alone. There’s not a movie out there that brings Christmas spirit to me, more than this one. It’s funny, it’s perfect for Christmas, and you don’t get tired of watching it, since it’s timeless. I love it! Macaulay Culkin was such a talented young boy. What else did you expect? Of course I was going to add this one to the list too. I don’t think there’s someone out there who hasn’t watched these movies. And if there is, I sincerely suggest him to start watching. It didn’t take a while for “The Holiday” to reach the top of my favorite Christmas movies’ list. It was one of those movies that capture me, and even though I have never considered myself as a romantic person, it somehow brought out the romantic side of me, in a way that I liked. Some more details I loved about the movie, even though I didn’t have the chance to watch it again this year: Cameron Diaz’s house (so minimalistic, luxurious and perfect, I loved it!). The fact that they swapped houses was always a concept that I love and “fear” at the same time. The cast was fantastic, and the places were so magical that I wished I was there, and it definitely made me feel like I was. Well, I can continue raving about the movie, but if you like these kind of movies (romantic comedies), and you haven’t seen it yet, it’s something you should watch. I was never a fan of romantic comedies, but here I am, can’t stop talking about it, and want to watch it again as soon as possible. Well this one was number 3 on my list, before I saw “The Holiday”, but then it fell on the 4th place. It’s a really nice Christmas movie, with a great soundtrack (Who hasn’t heard Billy Mack’s “Christmas is all around”? And I actually happen to love “Glasgow Love Theme” and most of the songs of the movie). It’s a bit complicated for many people, and I know that it’s not of everyone’s taste, but most find it the perfect Christmas movie. Oh and I loved Keira Knightley in this movie. Christmas Cupid is one of the new additions to my list. It is actually an ABC Family’s special movie. Starring lots of good and fresh actors like Christina Milian, Chad Michael Murray and Ashley Benson (from one of my favourite and newest Tv Series: Pretty Little Liars– for which by the way I had written a post back then). It’s a really nice and easy to watch Christmas movie, and I laughed a lot while watching it. You should check it out! This was my Top 5 Christmas movies, at least for this year…Which are your favorites? I have to add that I considered many more movies, and watched some others, but didn’t like them. Like “Bad Santa” and “Elf” (it was a bit sentimental at the end but I kind of hate Will Ferrell :/ ). I would love to add “Polar Express” to them, or even all of the Harry Potter movies, as they always have some Christmas touch in them, and I like to watch them during Christmas period. So, I’ll be waiting for your comments, and don’t forget to follow me on Bloglovin’ or Facebook! Oh and please don’t include extra links of your blog on your comments. Putting a link on the “website” box is more than enough. I wrote it down before the comment box, and I also wrote “Terms & Policies” of my blog, but no one seems to pay attention to it, so here I am, writing it in case anyone actually sees it. All extra links will be DELETED. Thank you! ”Love Actually” is my favorite movie!!!!!! I was just waiting for this lovely post! I wrote you an answer about the movies, on my blog! I answered Love Actually, but when I wrote that on my blog I thought “I’m missing something…” and then you reminded me! So, can I answer, like I just corrected there, two movies then? The Holiday and Love Actually, and in this order now. I remember in the UK, even now up to November, that the channels show Love Actually eeeevery week, so I have already watched it more than 6 times… and I can watch it again and again, it doesn’t matter! I love both because of what you just said: it seems we are there, in England, in the middle of a snowy path, and that everything will be fantastic in the end. Just by mentioning these two movies, increases my will to go back to England in a month, ooohhh, times passes fast! Thanks again for reminding me of it, and now I have to find where the DVD is! Willing to watch it right now! Ah, M., don’t worry about a long reply! I write whatever comes to my mind, then it’s looong, hahaha! But I know you are busy! You are always soooo sweet, I’m glad we got to know each other! Yes, I read your answer on your blog, and I saw that you corrected it. I’m happy I reminded you of this amazing movie. I’m sure it makes you miss England. But you’ll be there really soon, for as long as you like, so don’t feel sad. You’ll have plenty of time there. And I wish plenty Christmas Holidays. I don’t have it on DVD, but I had seen it at the cinema, and rented it a few times a few years ago. I have also seen it on tv. It’s such an amazing movie. Audrey Allure recently posted..ABC Family/Jane By Design Challenge #3 – Handbags! Ah I love The Holiday! Μοντέρνα Σταχτοπούτα recently posted..Μαλλιά : Πως να ”Στολίσεις” την Πλεξίδα σου με Ύφασμα ή μια Αλυσίδα. Nai!! Kai egw to idio! To skeftika to Nightmare Before Christmas, alla den einai poli psila sti lista mou! Vasika me ekneurize entelws I Corpse Bride, ap’tin stigmi pou tis evale katalathos o allos to daxtilidi. Grrrr…Alla genika m’aresoune i tainies tou Tim Burton. To “It’s a wonderful life”, na sou pw den eimai sigouri an to exw dei…poli pithano, apla opws egrapsa den mou aresouna oi palies tainies, opote varethika na dw pio palies…Alla tha to koitaxw, afou les oti einai toso kalo! hehe Kai edw sto Vorra pagwnia kanei, min anisixeis…Simera oli mera, ektos ap’to krio exoume xioni, ‘i xiononero….Brrrrr…..
Aww I love Christmas movies! They make me more sentimental than I actually am! hehe 🙂 You should see “the holiday” if you haven’t. You should definitely see it some time! …Great post!!! !…The Holiday is my favorite!! !…nice choices!!!! 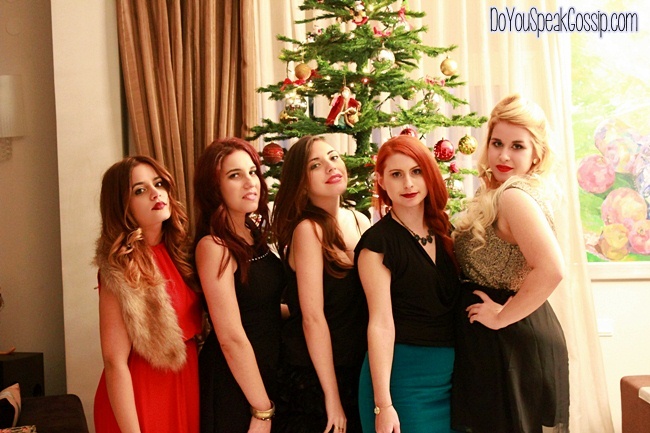 Stavroula recently posted..…For Christmas perfect Style…choose gold…! beautyincrisis recently posted..Liebster Blog Award!!! Teleio! Na deis kai to Home Alone 1 ama den to exeis dei….Kai to 3 einai kalo, apla paizei allos ithopoios kai den einai to idio! Thank you Claire! Kai mena einai sigoura agapimenes mou! Tin 5i kai egw fetos tin eida, einai arketa euxaristi kai poli “elafria”…min perimeneis kati sinarpastiko. Skepsou romantic comedy se sindiasmo me episkepseis twn gnwstwn 3 fantasmatwn twn Xristougennwn. Den thelw na sto xalasw omws…! Great selections!I ve never seen the last one:-? Thank you Alina! The last one was made exclusively for the American channel ABC in 2010. So it’s really new. I saw it a few days ago! 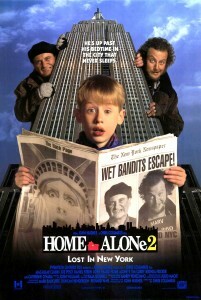 I saw the Home Alone movies last year, and some bits of it, on tv a few days ago. As I said, it’s a classic. I will always want to watch it again. themodisher.gr (above), said the same thing. But I don’t really like this movie. As I said, the Corpse Bride, annoys me so much! to post s einai teli0!! I love this movie and I saw it in these days! S’euxaristw poli Maria! Signwmi pou den apantisa nwritera alla den eixa poli xrono! Elpizw na perases katapliktika simera! Poli oraies oi tainies! Den tis exo dei oles distixos, alla tis 2 protes tis latreuo! Ma evales sto klima pantos! Kisses! 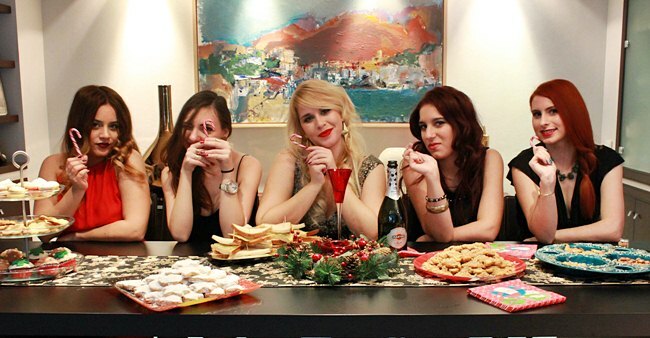 Einai poli wraies oles ! Sou tis protnw! Elpizw na perases mia iperoxi mera! Filia! Glukia mou den mporousa para na sumfwnhsw me ola osa egrapses, autes einai k oi agaphmes m tainies k tis vlepw xana k xana k pote den varieme an k to love actually pairnei thn trith thesh gia mena, epeidh polu apla oso complicated kai an einai exei apisteutes skhnes kai mousikh, kai enw den eimai genika romantikh h skhnh ekeinh pou o kollhtos tou gamprou paei sth keira k ths leei oti tha thn agapaei gia panta me ta xartia me kanei na lew awwwwwwwwwww ti romantikooooooo…kai gia na to lew egw auto kati shmainei…to holiday peftei sth 4 thesh epeidh den me magepse toso oso to love actually. o logos einai oti sou edwsa ena vraveio mesw tou blog mou, elpizw na to xareis, rixe mia matia sto teleutaio mou post k des ti prepei na kaneis me to vraveio sou!!!! marianne apo lure of the dark side. Marianne M. recently posted..An award and a thank you! Thank you for list, some of them I do not watch, and they would be a good choice for me in the holiday. Merry Christmas!